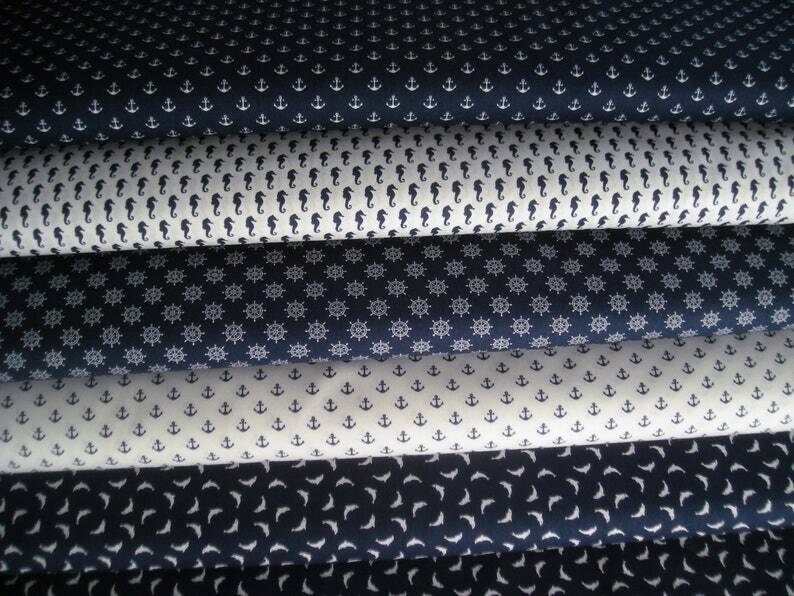 Five gorgeous maritime Cotton Fabrics in dark blue/navy and white, each with maritime Patterns. The Fabrics are, of course, colour-coordinated. Really great summery fabric Package. 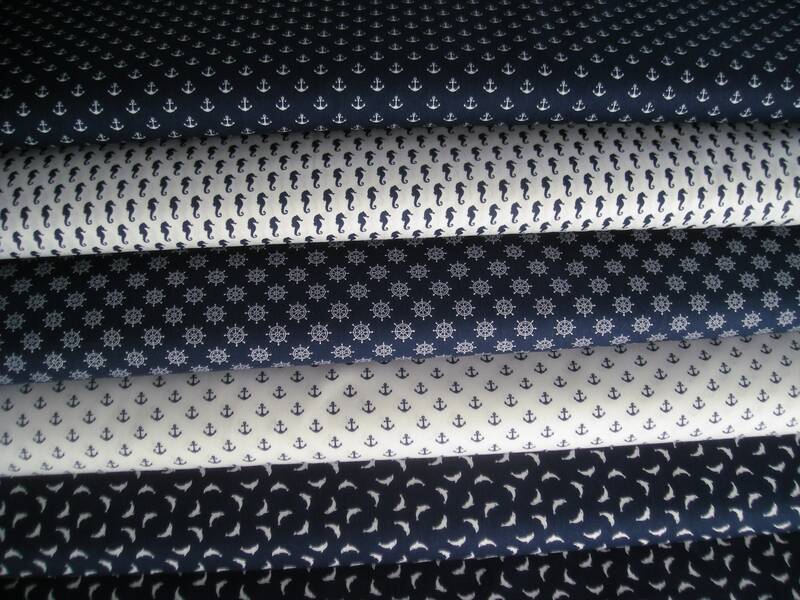 Cotton Fabric blue with white Anchors, Cotton Fabric white with blue Anchors, Cotton fabric blue Control wheels, Cotton fabric white with Seahorses and Cotton Fabric blue with Dolphins. Care: Washable at 30 ° C.
The Fabrics are also available individually here in the Shop. Other maritime Fabric packages as well as other Fabric packages in green, pink, mint, borŵo, taupe, red, grey, blue, yellow, purple and many other fabric colors, Vichy Fabric Packets, fabric packets with Dots, Stars and Stripes can be found here in The Shop at StoffeMeinkaro.